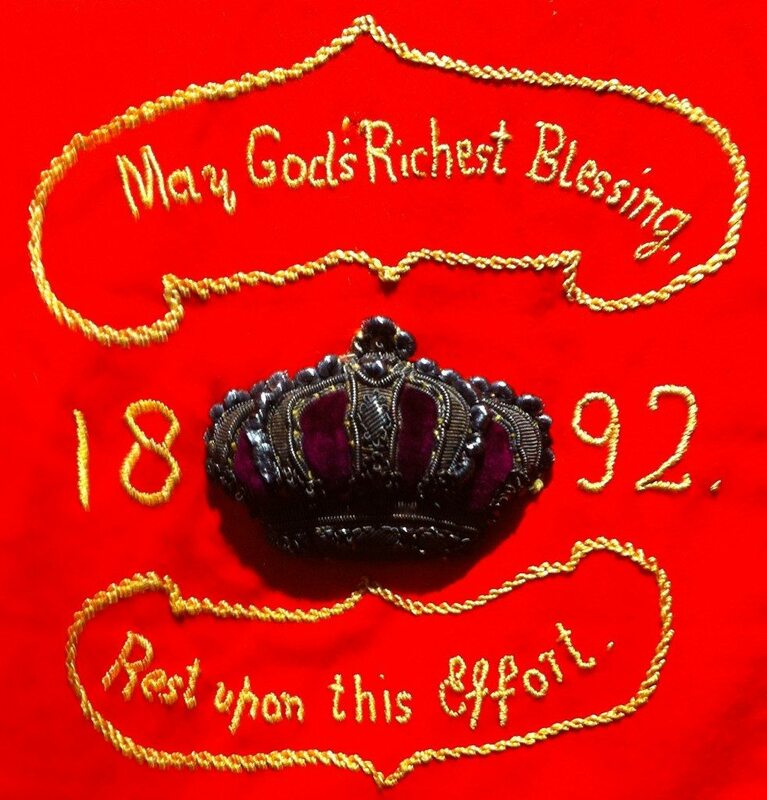 May God’s Blessing Rest upon this Effort – 1892, is a simple statement surmounted by a crown at the centre of a Quilt, a warm coverlet or bed rug made from three layers of fabric pieced or patched. 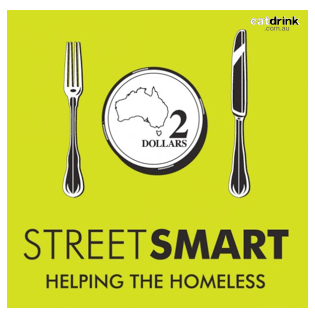 It is a central feature of one of the very special Quilts made during wartime, currently on display until 22nd November 2015 at The Manly Art Gallery and Museum in the famous harbour and beach suburb of Sydney, Australia. What many people do not know or understand is that from 300 BC to World War II in the 20th century designing and making Quilts was not just the preserve of women. During wartime Quilts were also made by ‘active soldiers and prisoners’, often using sewing implements issued as part of the men’s essential kit, the fabrics scrounged. Today recognised as a significant art form, Quilts are a passionate pursuit, said the show’s curator Dr. Annette Gero, the fascinating array a small part of the extraordinary Quilt collection she has gathered for 30+ years. Quilts made from military fabrics in this stunning exhibition recently opened by Jean Hay, Mayor of Manly, date from the period encompassing the Napoleonic Wars (1803-1815), Crimean War (1853-56), World War I and World War II. 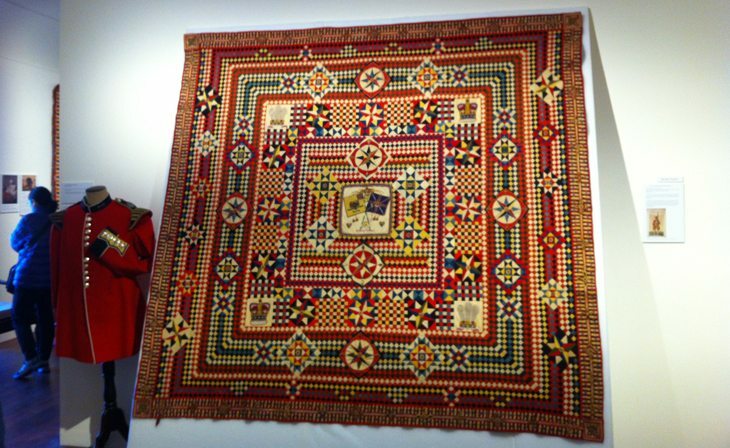 Beacons for hope, symbols of life, making Quilts helped keep many young men at war active, inspired, occupied, thinking and creating. Historically, especially in northern climes, Quilts in all shapes and sizes helped to keep countless people down the ages from many different countries and cultures warm for thousands of years. Design, colour, texture and patterns in Quilt making have now reached a pinnacle of excellence in the arts of our society. Private Thomas Walker by Thomas William Wood, 1856, Collection: The Royal College of Surgeons of England on display Hunterian MuseumQuilts also helped ‘introduce some semblance of beauty and humanity to the blighted world of the combat zone… the cloth, heavy woollen serge or worsted twill, was difficult work with, and as far as we know these army quilts were always made by men” Dr. Gero noted. 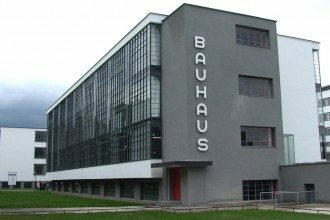 Beauty and fine craftsmanship are all intrinsic characteristics, which have been developed over time. 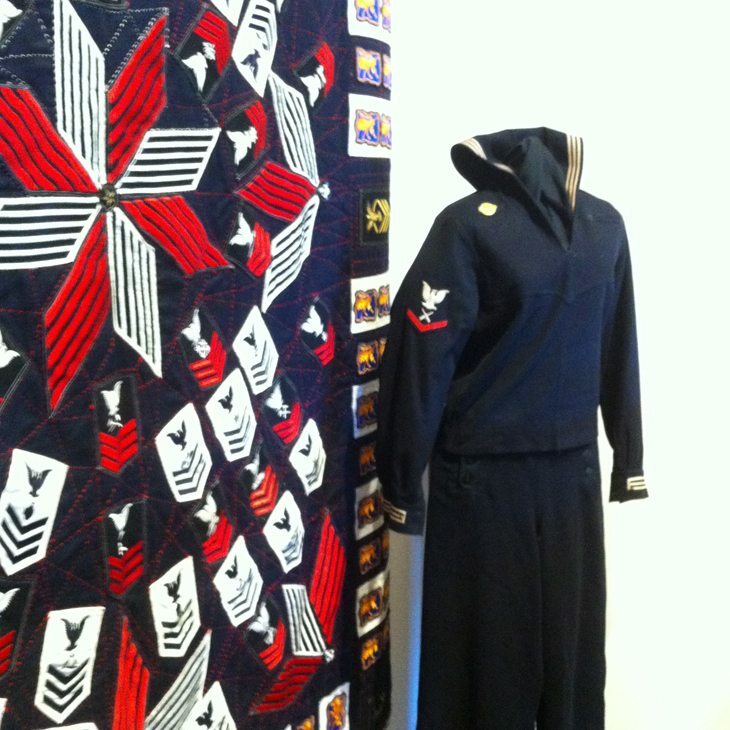 Today Quilts are attracting considerable scholarship and a fine book War Quilts and charming appliques from military fabrics, accompanies the exhibition. I was delighted when on a recent visit to Sydney Dr. Gero was able to be there to guide me around the show and passionately relate to me some of the Quilt’s terrific back stories first hand. 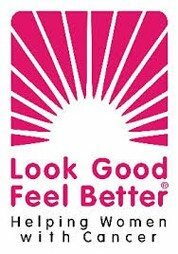 Especially loved the one about Queen Victoria ‘…during Her Majesty’s visit to Fort Pitt Military hospital in 1855, she observed a young Private sewing a Quilt as part of his recovery therapy. Reported in the London Morning Chronicle it also said on Tuesday, December 25, 1855: The Queen has forwarded to Private Thomas Walker, 95th Regiment, a present of £10. On her Majesty’s last visit to Fort Pitt she was struck with a quilt brought to her notice as the work of Walker, and desired that it might be forwarded to her Majesty, which has recently been done through Colonel Phipps’. A portrait was reported as being painted, describing ‘It was at the battle of Inkerman this youth received his wound, by a shell bursting directly over his head, which it fractured in the most extraordinary manner, causing insensibility for several days, until a piece of bone which pressed on his brain was removed’. 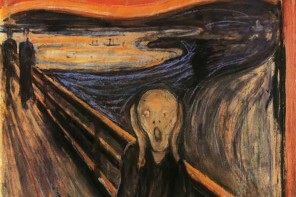 The artist Thomas William Wood entered it in a show at the Royal Academy in 1855. 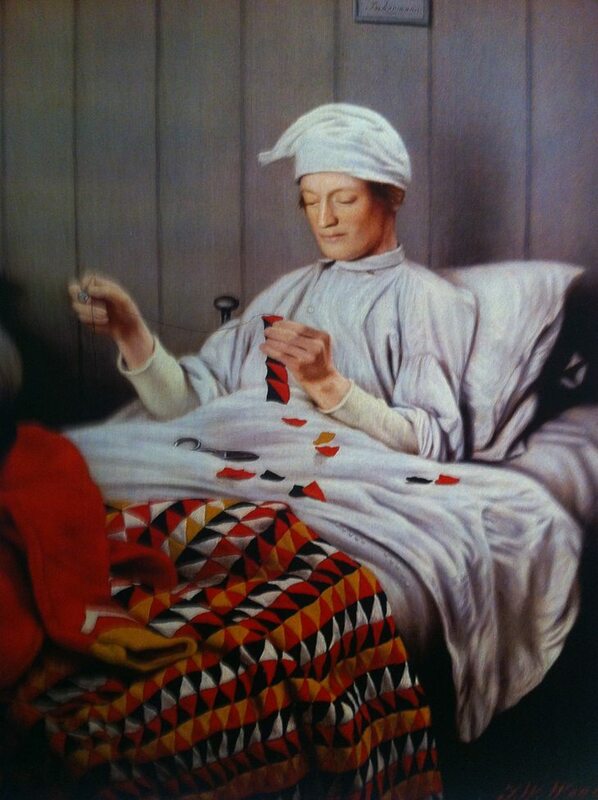 Today his portrait of Private Thomas Walker with a nightcap covering his bandages is rare, held in the collection of the Royal College of Surgeons at London on show at their Hunterian Museum. She has lectured extensively about the history of Quilts throughout the USA, Canada, New Zealand, France and England and is affectionately known in the world of arts and crafts in Australia as The Quilt Lady. One very fine Intarsia with Soldiers Quilt reveals rows of musketeers in a Prussian regiment, as well as other charming figures of village folk, images of pots of flowers and even a court jester. Initialed ‘JSJ’ c1760 – 1780, its maker unknown, charm abounds. Produced via a complex appliqué technique, requiring a great deal of skill, it ends up appearing as a beautiful piece of art, much like a mosaic with a giant star in the centre. 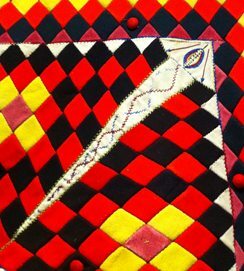 Made by soldiers or tailors from woollen scraps all the quilts celebrate life and victory, their stories integrally woven into the ‘Threads of our Society’, full of fact, history and legends. 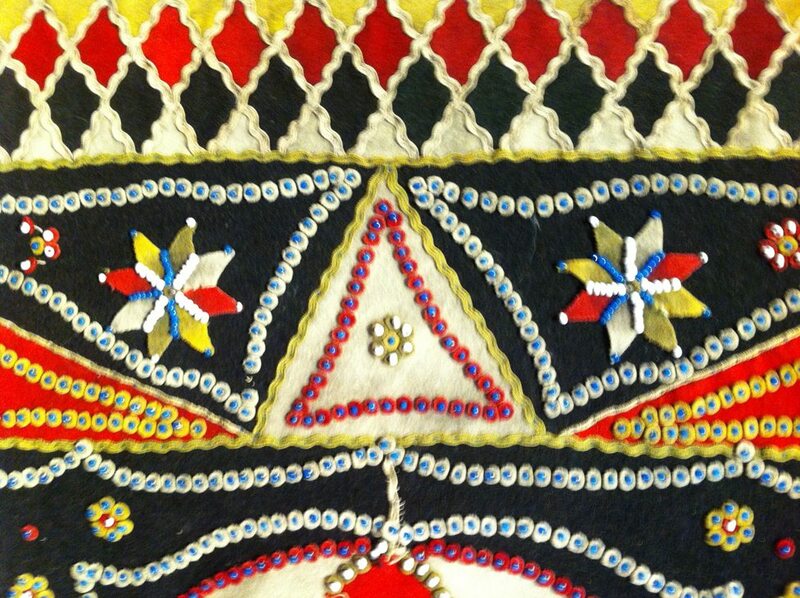 A Beaded Soldier’s Quilt made in India from military uniform wool is all hand sewn and some of the images are embellished with bountiful beading. 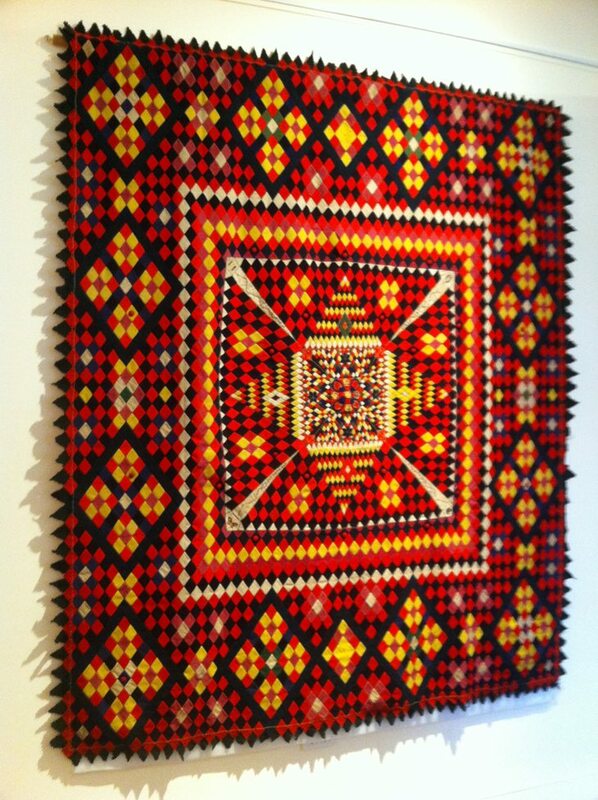 This became a special characteristic of Quilts made in that part of the world. Each bead has been carefully placed and sewn separately. The work involved in also placing ric rac braid over the outline of the repeating diamond pattern also ensures the mind boggles at the time taken to produce a sensational result. The amount of patience required to complete the hundreds perhaps thousands of hours that produced these works is hard to come to terms with. There is a Soldier’s Patchwork Quilt with an incredible border featuring appliqued hearts, diamonds and flowers. Made in England 1860-1880 it is thought to have been a present for a high ranking officer from his orderly. Made from the dress uniforms from various regiments, it contains multiple colours including the regimental colours of the 37th Foot Regiment wh0 fought in the Crimean War, 1855. 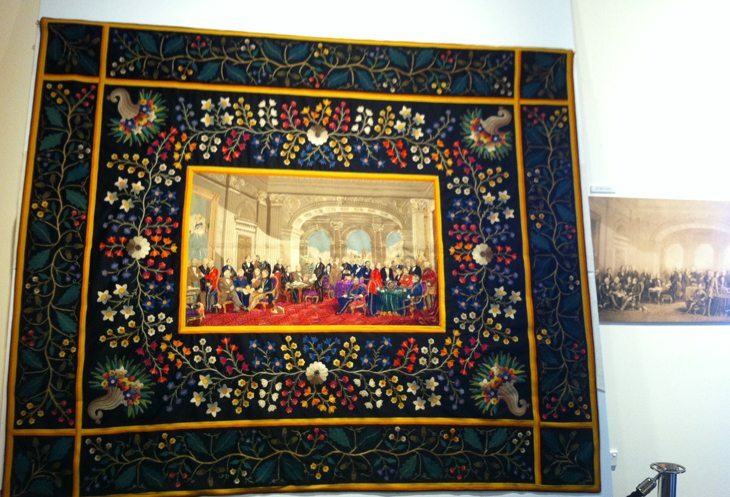 The Great Britain Quilt was meant to be given as a gift for the Duke of Edinburgh, Queen Victoria’s son’s new wife by Michael Zumph a tailor of London. However it was stolen before it was delivered. Made from pieces cut from both naval and military dress jackets sewn with silk embroidery thread, it is quite unique. 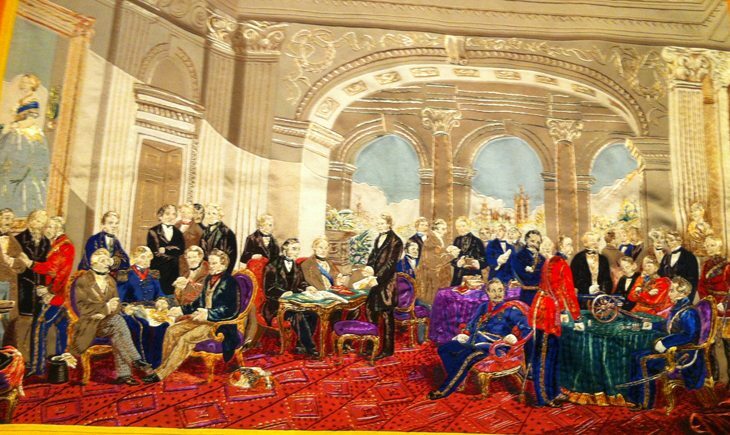 Surrounded by a glorious colourful array of flowers and embroidered with colour silks, the image at the centre features a scene from the House of Commons in London. British Prime Ministers Benjamin Disraeli (1804-1881) and William Gladstone (1809-1898) are shown with a gathering of other politicians looking down on by a portrait of Queen Victoria (1819-1901) by English artist Thomas Jones Baker. 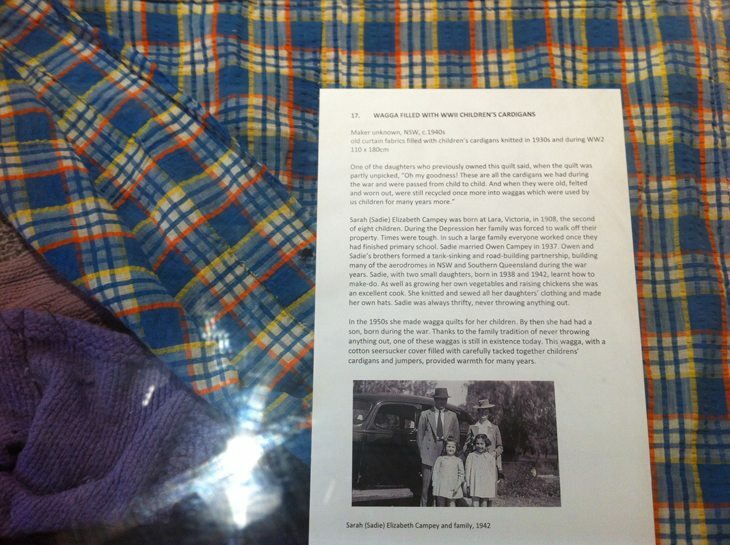 Dr Gero has proved that the print was carefully transposed onto the Quilt at the size it was originally created. All the men are identifiable, including prestigious generals who had fought in the Crimean War in India. 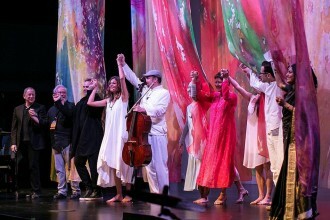 The intricacy and excellence of the work is gobsmacking, and certainly captured most people in the room’s attention when I was there. 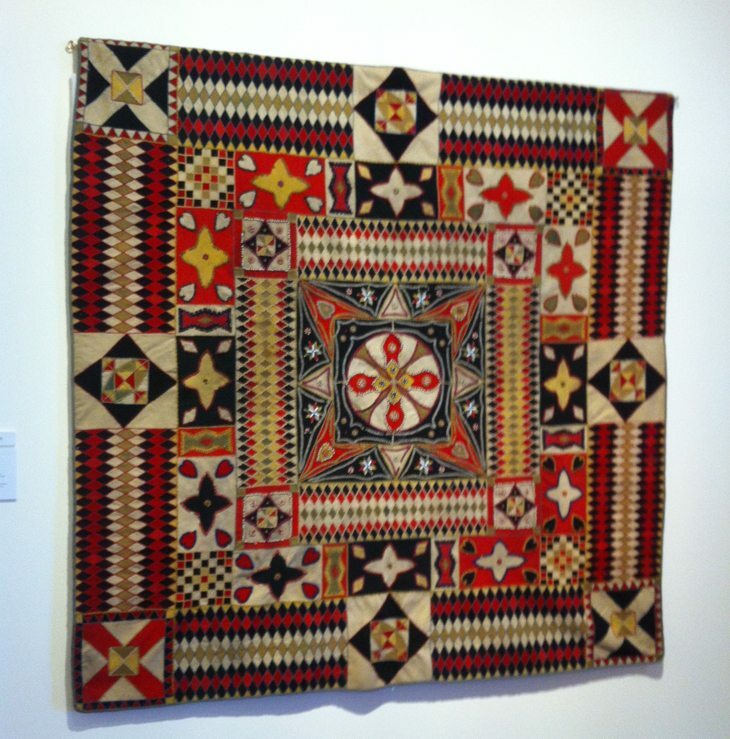 Australian war quilt history features army blankets used as quilts with designs appliquéd onto the blanket or they were used as the insides of waggas. 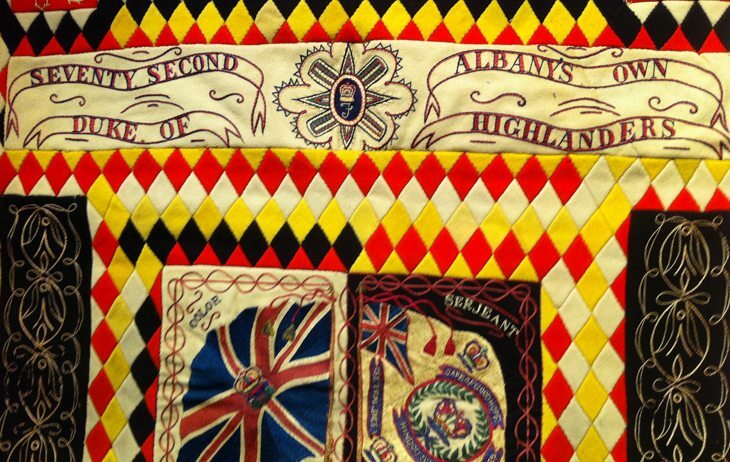 A Quilt cleverly made from left over Epaulettes is shown displayed alongside a uniform sporting one of them on the sleeve of the shirt, which helped to identify the regiment. Made by the regimental tailor of the 2nd 5th Australian Armoured Regiment based in Queensland during WWII, the epaulettes were machined onto an army blanket in rows to great effect. 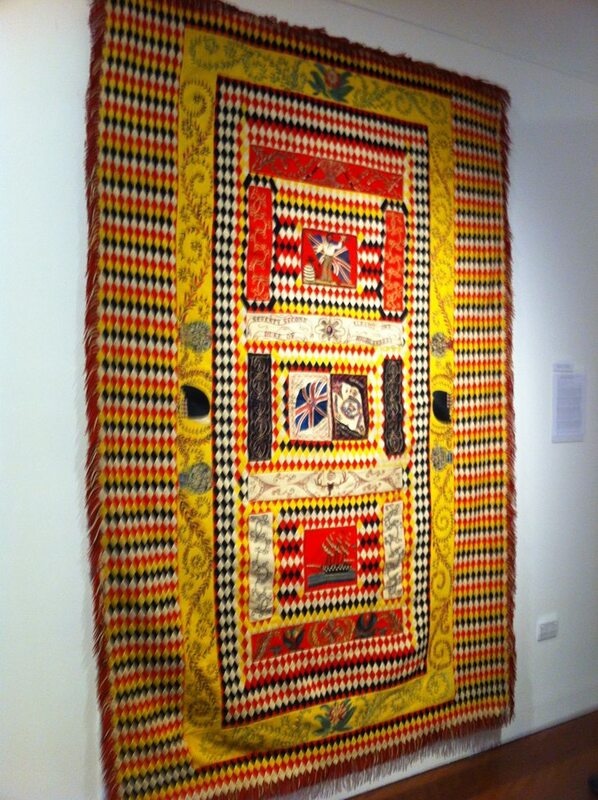 When the war was over the Quilt was given to AW Robertson when he was discharged from the army in Queensland in 1945. It is an important statement on how important leadership rank is in times of war and how those fighting must be prepared to not only take the flack, but also know how and why they must respect an officer’s orders and carry them out. 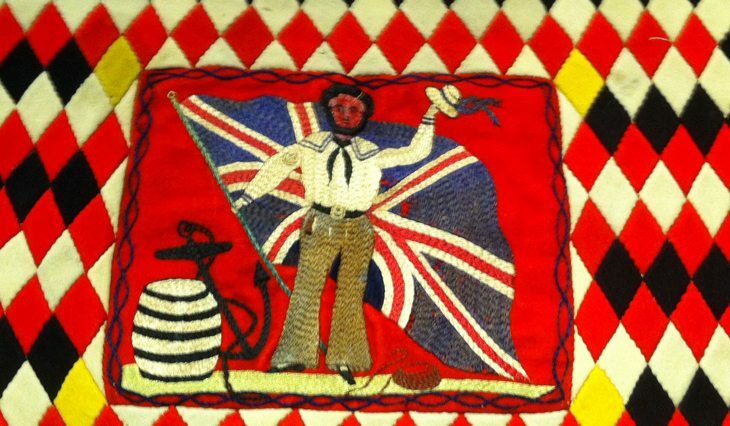 Another amazing woollen quilt is all hand sewn, embroidered with British crowns and flags made by someone involved with the British-Zulu wars, South Africa, 1879. 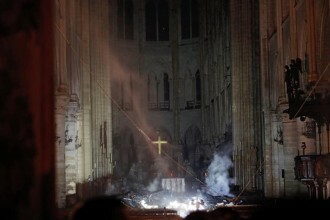 The most defining event was the first major encounter they had. The Battle of Isandlwana happened at a time when no one would believe an army of men wearing no protective clothing and carrying only primitive weapons, a shield and a spear, would or even could crushingly defeat the might of the British 1st Battalion who were using modern artillery. It is history how 20,000 Zulu warriors attacked the British column in a decisive victory. The battles that made up this war stunned the world at the time. I remember a fine movie with Michael Caine (1964) depicting the extraordinary Battle of Rorke’s Drift when only 150 British soldiers held off a force of 4,000 Zulu warriors. 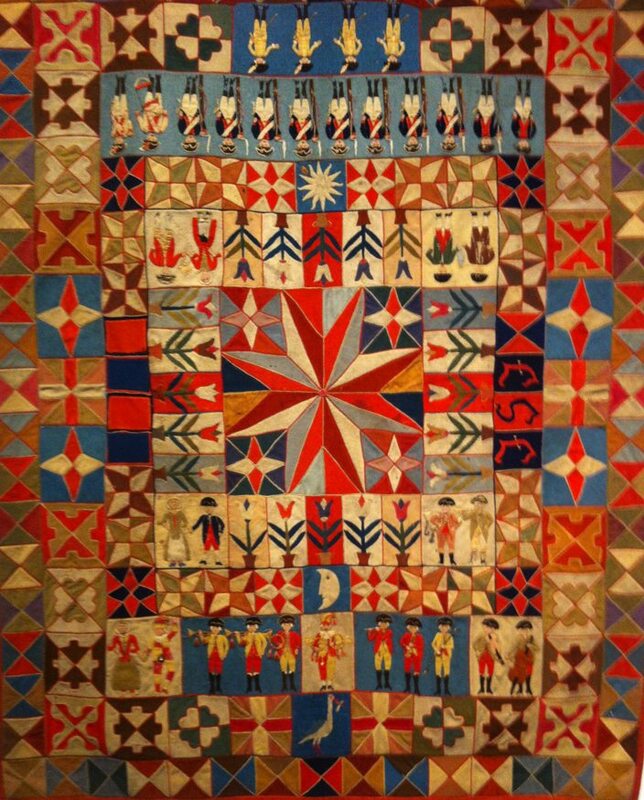 The English maker of this quilt had so much respect for the foe he incorporated some of the symbols of the Zulu nation into the quilt including a spear. What an amazing testimony to valour it is. An Army Uniform Quilt from the Napoleonic Era was made from uniforms and backed with linen. 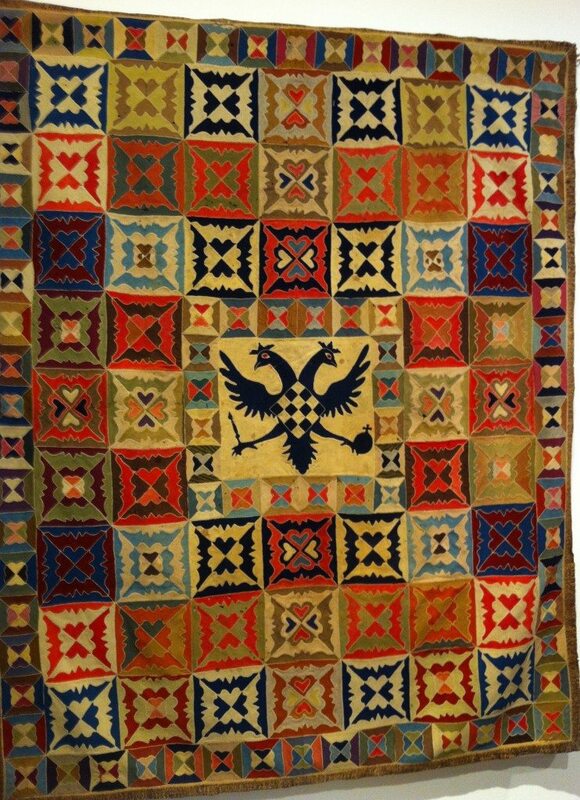 It’s a rare coverlet of blue, red, sage green and cream wool patches and features a double headed Eagle at the centre. An Admiral in the British Royal Navy and Commander of the British Fleet in the Baltic, the 7th Baron helped defend the interests of Britain, while also defending Sweden from both Prussia and Russia. He also shared in the great victory at the Battle of the Nile with Rear-Admiral Horatio Nelson in 1798. Dr. Gero and I conversed with four friends who had come along to the gallery for another show, not knowing about the Quilt exhibition next door. We especially enjoyed and shared their enthusiasm as they discovered the Quilt we were looking at and discussing. 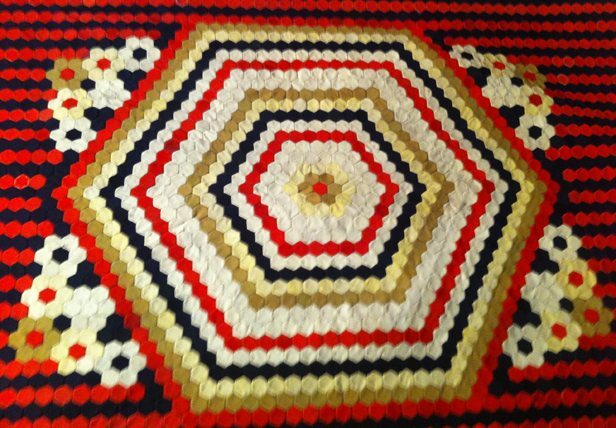 Quilt number 12 the Bed Rug for Sergeant Malcolm Macleod was awarded a medal at the Glasgow Industrial Exhibition 1865-66. Red, black, gold and white with an amazing decorative centre panel, it seemed to be many people’s favourite at the show. The centre square is a document, giving the maker’s name, rank, places and dates his regiment served. It says they were at the ‘Cape of Good Hope, Hindoostan, Central India and Slvastopol’ where the 72nd Regiment fought during the Crimean War. They were also in Central India during the horrors of the Indian Mutiny (1857-1859). I adored that it had Scottish Bonnets in the border alongside bouquets of flowers, which no doubt could be gathered in the Highlands of Macleod’s home. 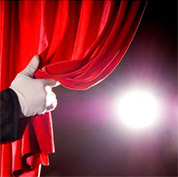 Thistles abound, urns overflow and a sailor stands waving hat in hand. There is a Royal Navy Ship sailing on the endless blue sea and all of it is worked with exceptional skill. 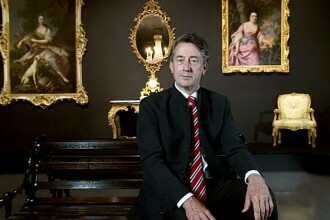 This Exhibition is a must see for Sydneysider’s and visitors. 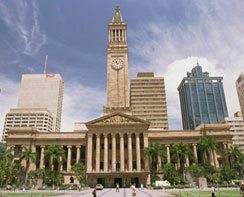 There is no doubt it is a pleasant day out, because the bonus is you can ride the ferry across Sydney Harbour to the Manly Art Museum and Gallery. The building is just a few minutes walk along the waterfront on the left as you come out of the Manly pier. Manly where the exhibition is being held is a buzzy place on a Sunday. 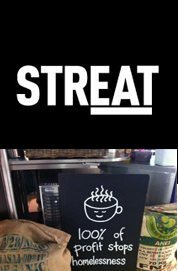 Dr. Gero and I can highly recommend the cuisine upstairs bistro in the upgraded heritage Ivanhoe Hotel in the centre of the Corso afterwards; both relaxed and delicious. 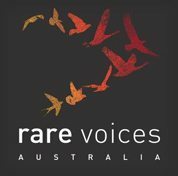 As a leading historian and knowledgeable collector since 1982 Dr. Annete Gero has amassed a simply extraordinary ‘threads of our society’ collection. 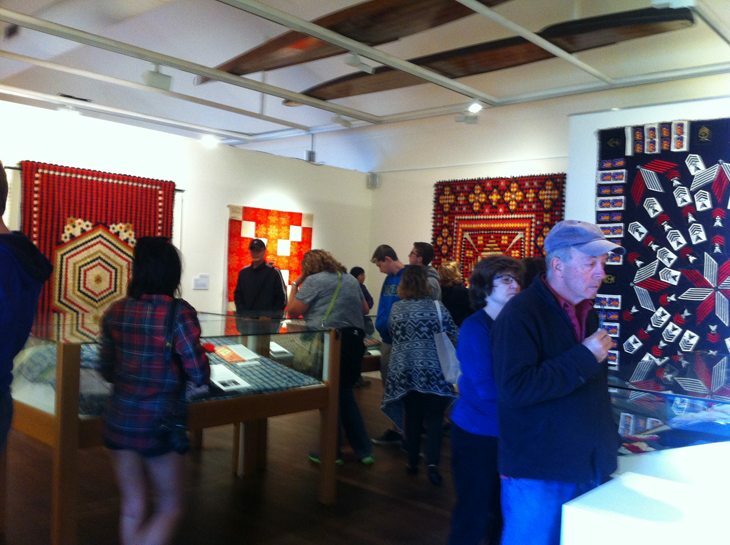 This includes a significant number of early Australian Quilts made by those journeying to a new land. 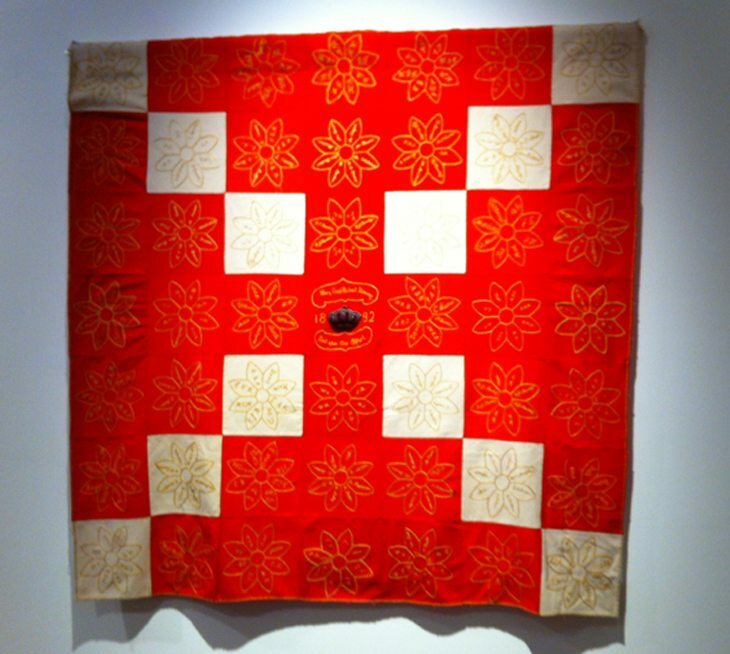 Apart from Australia, she has exhibited her quilts in France at the Museé De L’impression Sur Etoffes, Mulhouse, the Museé des Traditions et Arts at Normandy and the European Quilt Symposium, Alsace and in America at the International Quilt Show in Houston. This small select show of Quilts has been thoughtfully chosen, superbly curated, beautifully presented, honouring the legacy of all the makers, who at times of great difficulty, terror and fear, concentrated their efforts on envisioning a continuance of beauty, charm, affection and humour in our world. 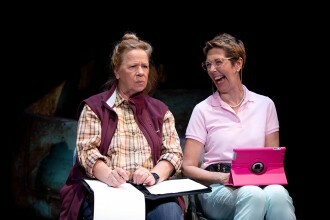 5/5 – this is an arts encounter of the very best kind. Dr. Annette Gero he has written a number of definitive books about the subject of Quilts and this includes the new publication War Quilts: Charming Appliques from Military Fabrics available to order.